Differences between 6.64 and 6.65 loadscreens! Just for the Lolz: Happy Anniversary DotaSecrets! I have some really awesome news I’d like to share with you guys. 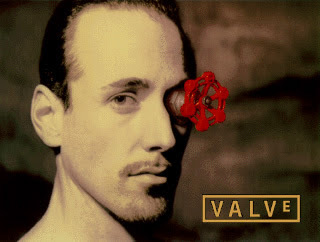 I am now leading a team at Valve! I finally have all the resources needed to do some very exciting stuff that you guys will love. I look forward to revealing more specific details when the time is right. My goal and top priority in the future is to solve the surrounding issues that affect the DotA experience in order to allow it to reach new heights. Addressing these issues will enable us to further enjoy aspects of DotA such as the gameplay, mechanics, and in-game feel that currently work well and ought to be maintained. As I’ve said many times in the past and especially after today’s developments, I am very excited about DotA’s future! With regards to the 6.64 patch, the focus will be primarily on more balance improvements. It is moving along very smoothly and I expect to have it ready soon. Once those refinements are done, I’ll be working on some fun new content such as heroes or remakes for the 6.65 version. If there are specific things, big or small, you want me to consider for patches that follow, let me know. Bookmark & Share this with everyone! P.S. : Mortred would own big time….